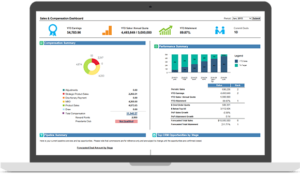 IBM Incentive Compensation Management software. Are you the right candidate for this software? 1. Your organization has over 50 sales staff? 2. You use legacy or other software which is not very flexible? 3. You manage all your Incentive Compensation using Excel, compromising on scalablility? If you answered yes to any of these, then, an efficient, flexible and robust solution – IBM ICM, could just be what you need. What can IBM ICM do for you, anyways? IBM ICM can receive data from most systems in various formats. It can be set up to receive the data automatically through its scheduler. IBM ICM can be configured to provide the flexibility you need, making plan changes and modifications easy. IBM ICM can be fine tuned to provide highest level of performance for large volumes of data. Would like to see a demo? Want to understand more about how we can help?